I have been drinking a lot of Rye lately. I just put the finish on one of my Bottles of Thomas Handy. Just bought a bottle tonight to sample. Elijah Craig 18 Year. Reviews seemed good. Not much of a bourbon guy, but hoping to change that. Your in the right place to learn about bourbon then Kayak! Your telling me! I have a bottle each of the Antique Collection on hold for me when they come. I also just picked up a bottle of Four Roses Mariage and a bottle of their 120th Anniversary, both of which I have yet to crack open and try, but I'm looking forward to. You have some good taste! 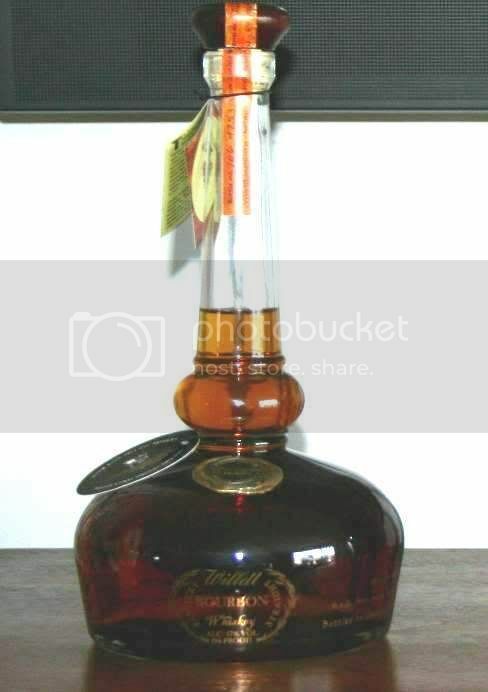 I just picked up this bottle of Willett's! It’s extremely well balanced and smooth. I recommend trying it sometime! Patrick did you get that from SV? It is their e-mail special. No, I must've deleted that e-mail. How much were they selling it for? I got it in my neighborhood for $38. The place I bought it is also expecting to get some of the special releases coming out next week. Very cool looking bottle Patrick, never had that before. Volt, Pappy's are some good bourbons indeed. I love me some bourbon, but if given the choice I will always pick the Jim Beam Black. I am about half way through a bottle of Elmer T. Lee, I love that stuff... I have a bottle of Woodford lined up after that... I can't help but feel Woodford is a bit overrated but I do enjoy it.. Still looking for this years eddition of the Master's collection, but can't find any mention of one anywhere. Would love to find another bottle of the first year's Four Grain. All are excellent bourbons IMHO!! !